Arms up, we lurched and creaked, climbing to the top of the hill, bracing ourselves for the fall. 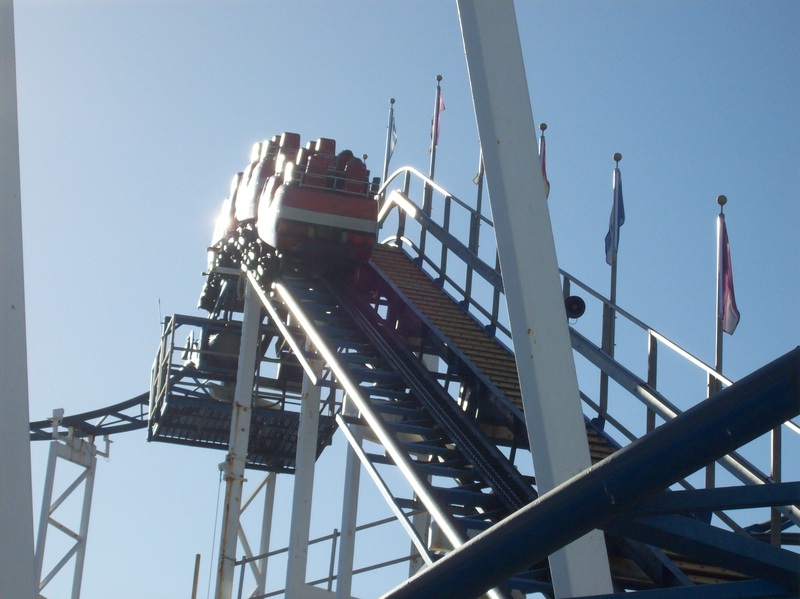 We were on one of the oldest roller coasters still in operation, not just in the U.S., but in the world. 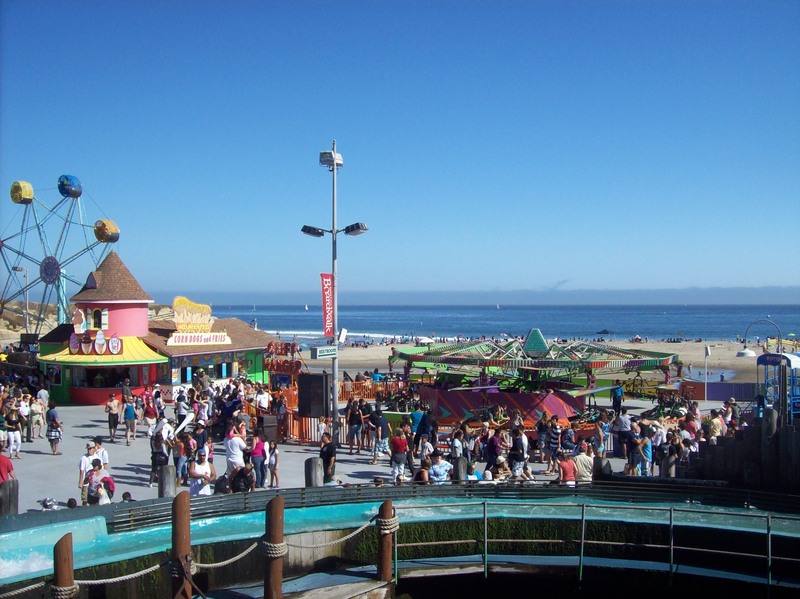 We were on the Giant Dipper Roller Coaster on the Santa Cruz Beach Boardwalk in Santa Cruz, California. 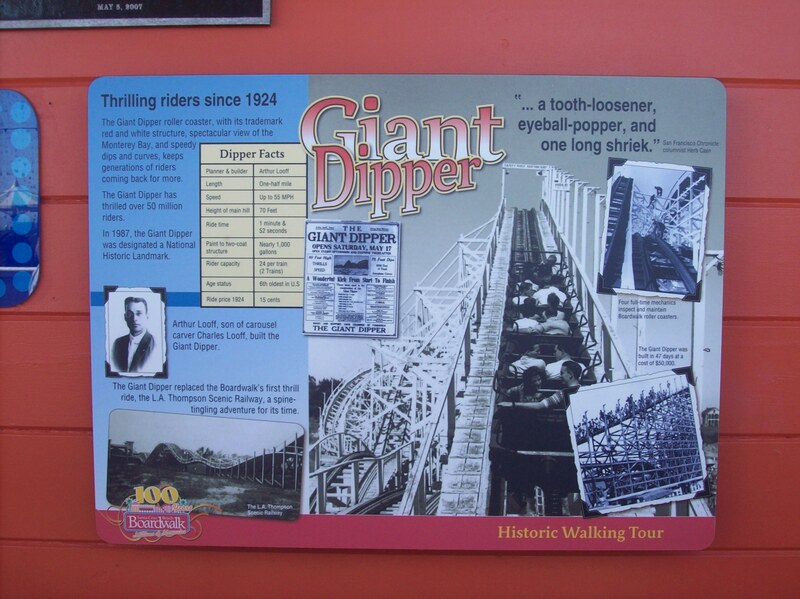 Since May 1924 when the public paid 15 cents to ride the red and white roller coaster, the Giant Dipper has excited over 60 million roller coaster enthusiasts who now must spend $6 for its thrills. 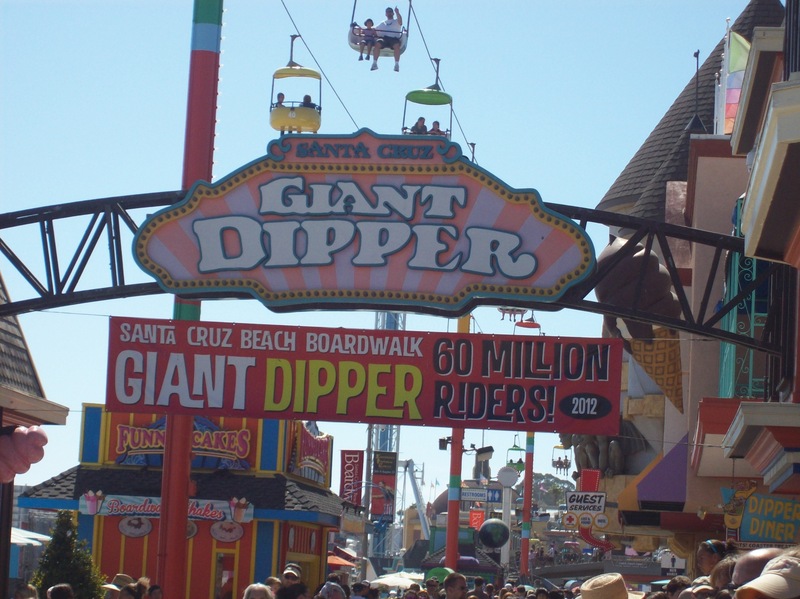 Riding the Giant Dipper is only one of several things to do on the Boardwalk. With kids aged 8 to 14, my friend and I spent an afternoon exploring a few of the options. 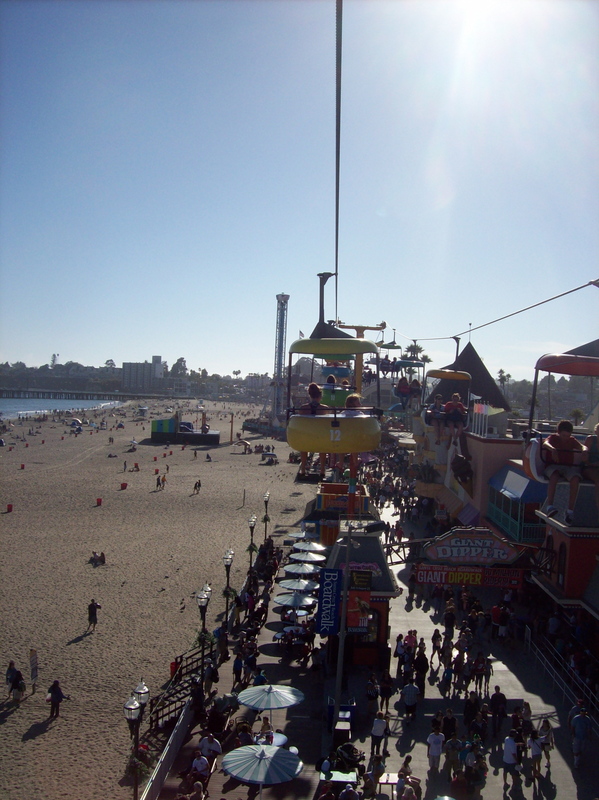 We were splashed on Logger’s Revenge, lost our stomach on the Giant Dipper as well as on the Hurricane, and enjoyed the view from the Sky Glider. 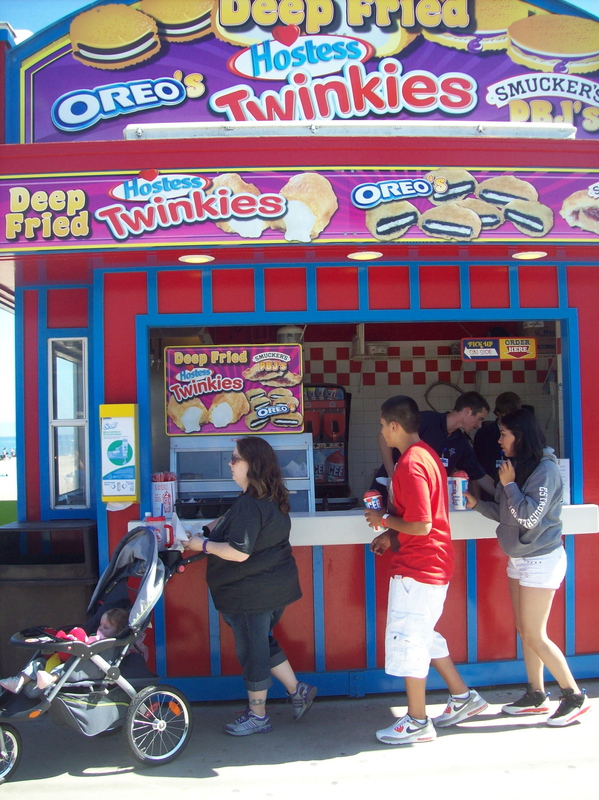 We tried our luck at one of the games, sampled ice cream but avoided the deep fried Twinkies and Oreos. Before our last ride, we left the Boardwalk and tested the Pacific’s temperature with our toes. 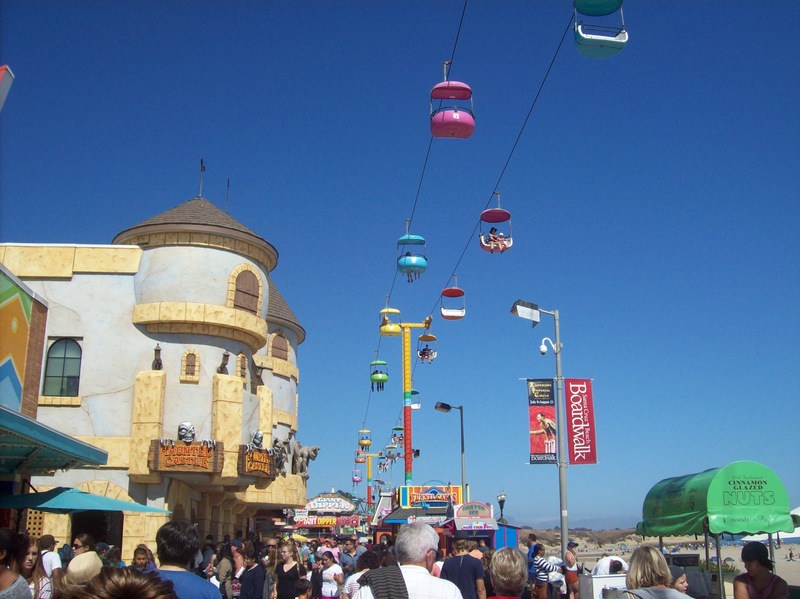 Growing up in the middle of the country did not afford me the sight of a seaside boardwalk until after my college years. I still have had a pitiful few occasions to experience them. They hold the possibility of so much magic and wonder! I wish I’d had the chance to see one as a child. Thanks for bringing the Santa Cruz boardwalk experience to my living room! 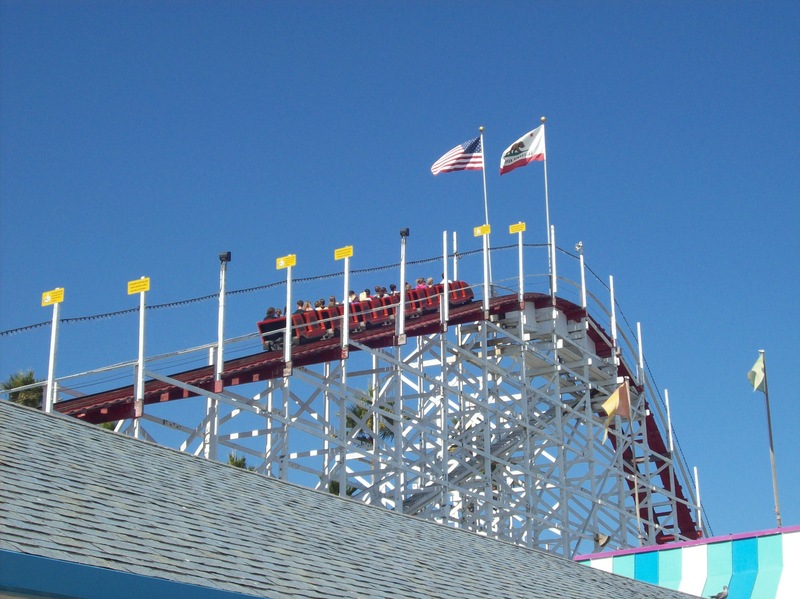 Even though I grew up on the coast, I still remember being awed by the sight of a roller coaster right next to the beach during my first visit to Santa Cruz some time in middle school.